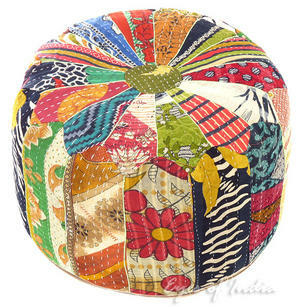 Bohemian Poufs & Ottomans are both functional and stylish, they are a great seating solution for small spaces when you have guests, and also great for kicking your feet upon when relaxing at home. 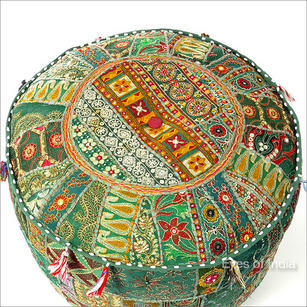 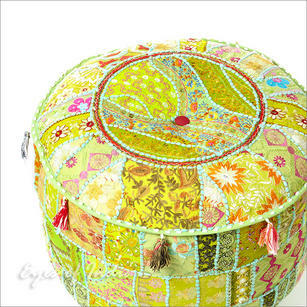 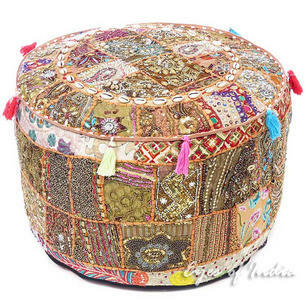 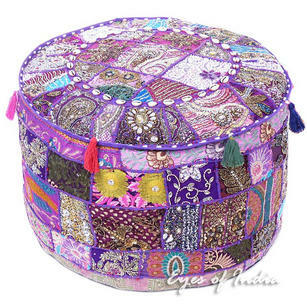 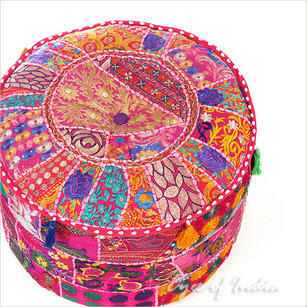 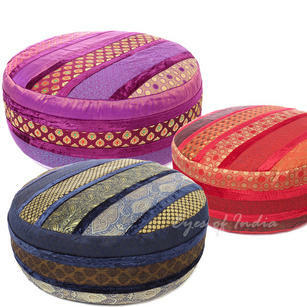 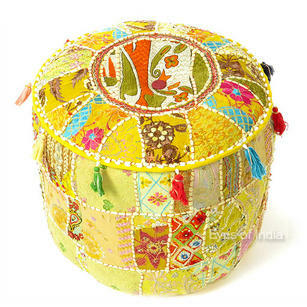 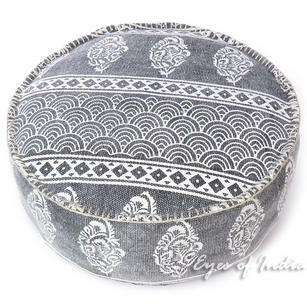 All our poufs and ottomans combine excellent quality Indian fabrics, unique artisan designs with mirrors, beads and strings - the result being an incredibly unique piece. 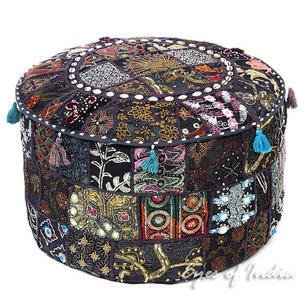 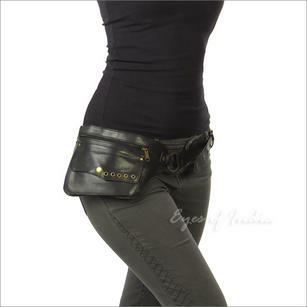 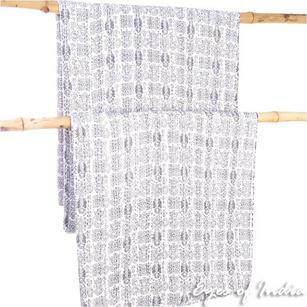 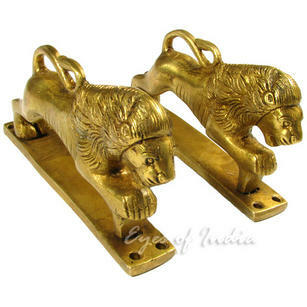 All of these pieces are handmade in India, by craftsmen who have learn their skills through generations. 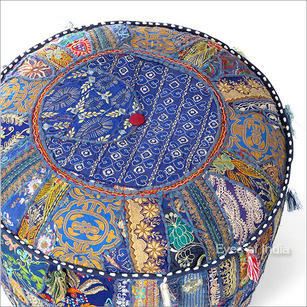 We work directly with these craftsmen, to cut out the middle man and ensure a fair price for all, customers and suppliers. 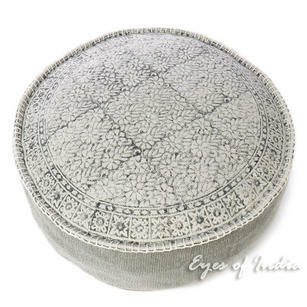 If you have any questions about these ottomans, or have any questions about Eyes of India - please do just get in touch and we will be happy to help. 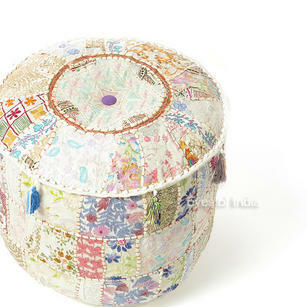 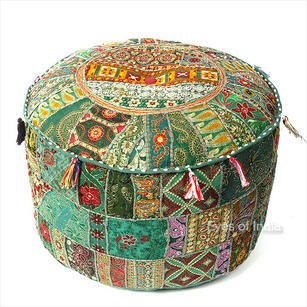 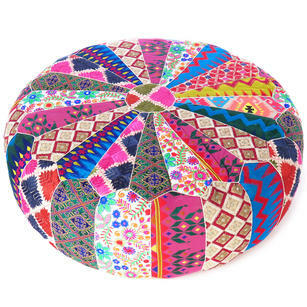 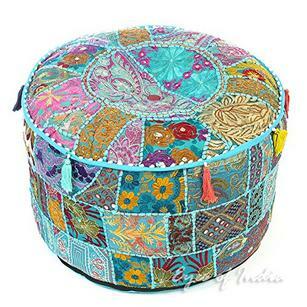 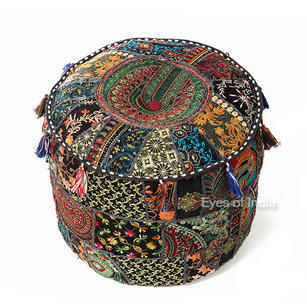 Small Blue Boho Patchwork Round Pouf Pouffe Bohemian Ottoman Cover - 17 X 12"
Green Patchwork Round Pouf Pouffe Bohemian Boho Ottoman Cover - 22 X 12"
Light Blue Patchwork Round Pouf Pouffe Boho Bohemian Ottoman Cover - 22 X 12"
Small Black Patchwork Round Boho Bohemian Ottoman Pouf Pouffe Cover - 17 X 12"
Large Brocade and Velvet Round Boho Bohemian Pouf Pouffe Ottoman Cover - 24 X 10"
Bright Yellow Bohemian Patchwork Round Boho Pouf Pouffe Ottoman Cover - 22 X 12"